We lost a majestic black woman today, a voice many blacks probably don't know or have even heard about. Yet Dorothy Cotton was an amazing woman of incredible fortitude. Dorothy Cotton held the Southern Christian Leadership Conference together by sheer willpower. She also was a confidant of Dr. Martin Luther King Jr. 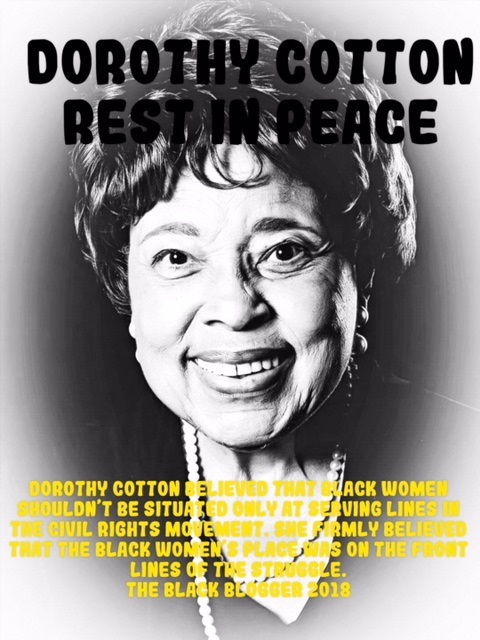 I also would like to say that when many women were willed to the serving lines during the civil rights struggle, women like Dorothy Cotton demanded to be placed on the front lines of the struggle. Rest In Peace Dorothy Cotton.